Backpacking legend Chris Townsend knows more about hiking in Scandinavia than most Scandinavians. Almost twenty years ago he followed the spine (or The Keel, as it is often called here) of the peninsula that is Norway and Sweden, from the southern end to the northern end. When I mentioned this to the Nordic Lightpackers on our hike in Vålådalen recently, this created some interest. So I asked Chris a bit more about this walk of his. Jörgen: Chris, few people know that you have walked the entire length of the Scandinavian mountain range in Norway and Sweden in the early 90's. You told me a long time ago that interest was low at the time and that it only resulted in one newspaper article. Could you tell us a bit about that? Where did you start and where did you end? How long was the walk and how long did it take? Chris: The walk was 2200 kilometres long and took from June 24th to September 17th. I started at Lindesnes and finished at Nordkjosbotn. 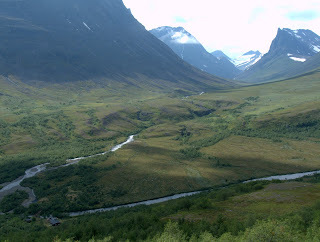 More in detail; Setesdal-Hardangervidda-Jotunheimen-Rondane-Sylarna-Borgefjell-Kungsleden-Troms Border Trail. Chris: The walk started with warm sunny weather. However the weather changed when I reached the Hardangervidda and it then stayed wet and windy through most of the rest of the walk with only a few days of sunshine here and there. Many of my journal entries start "woken by heavy rain!". Of course it didn't rain all day every day and there were days with a mixture of sunshine and showers. Jörgen: A couple of years ago I walked part of that route, southwards from Hemavan into Jämtland, on the Swedish side of the border. This is a land of few trails and few tourists in summer. Which route did you pick through this area? Chris: I went from the south along the route Storlien-Sandvika-Skjaekervatnet-Gaudalen-Fjellgard-Lakavatnet-Gaddede-Vaktardalen-Slipstikstugan-Jovattsan-Hemavan.This took me three weeks and it rained most days. There was some bushwhacking, some cross-country and some rough trails. It was certainly the toughest part of the walk. Jörgen: This walk was undertaken almost 20 years ago. At that time the gear you used was not as light as the stuff you are using today. Would the lighter gear you use to day have been better or less good? In what way? Chris: Some of the lighter gear I use today would have been fine for the walk. Some might not have been durable enough. I did keep a gear list with weights so I can make direct comparisons. Pack: I took a Macpac Cascade weighing 3.15kg. I would definitely take a lighter pack now! Probably a GoLite Pinnacle. Tent: Hilleberg Nallo 2 weighing 2.2kg. The Akto wasn't out then. Today I would probably take the Akto, or maybe the Scarp 1. I wouldn't use a tarp as many camps were on exposed, windy sites. Mosquitoes were bad in July as well. Sleeping bag: Mountain Equipment Lightline weighing 1045 grams. I might save 200-300 grams on a lighter bag now. Mat: Therm-A-Rest Ultralite 3/4 weighing 454 grams. The current equivalent, the Prolite Short, weighs 310 grams so I'd save a bit there. Or I might use a NeoAir - actually I'd probably use a Pacific Outdoor Equipment Ether Elite 6 2/3, as that's what I'm taking on the Pacific Northwest Trail this summer. Stove: MSR XGK II weighing 400 grams. Taken because I wasn't sure whether I'd be able to find gas canisters. I used kerosene most of the time. I'd take a canister or alcohol stove today if fuel was available. Footwear: Merrell Cumbrian leather boots weighing 1.46kg - which was quite light for boots then. I also carried Merrell Trail shoes weighing 950 grams for camp wear and road walking. Today I'd wear Inov8 Terrocs and carry no spares. My rain clothing consisted of a Sympatex jacket and trousers weighing 795 and 465 grams. I would take eVent garments today and save some weight. 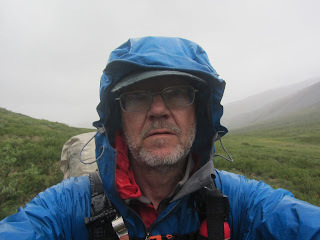 I wouldn't take ultralight waterproofs though as they probably wouldn't last - I did wear them a great deal!I've found that the really light rain gear I've tried isn't very durable. I don't think this is a problem - it's the penalty for the thin fabrics - but I wouldn't trust one to last for a long hike where it would be worn a lot. I also carried a windproof top weighing 555 grams. I'd take one weighing around 100 grams today. Warmwear was a 390 gram thin fleece top and a 525 gram thick fleece top. Today I'd take a lighter weight thin fleece and a lighter synthetic insulated top. Overall I reckon my base weight would be around half what it was in 1992. Jörgen: If you compare lightweight and ultra light backpacking as it is undertaken in the US with the situation for northern Europé (where your Scottish homeground would be included), what are the main differences? Chris: I think the main differences between lightweight and ultralight backpacking in the US and Northern Europe are to do with shelter and forests. 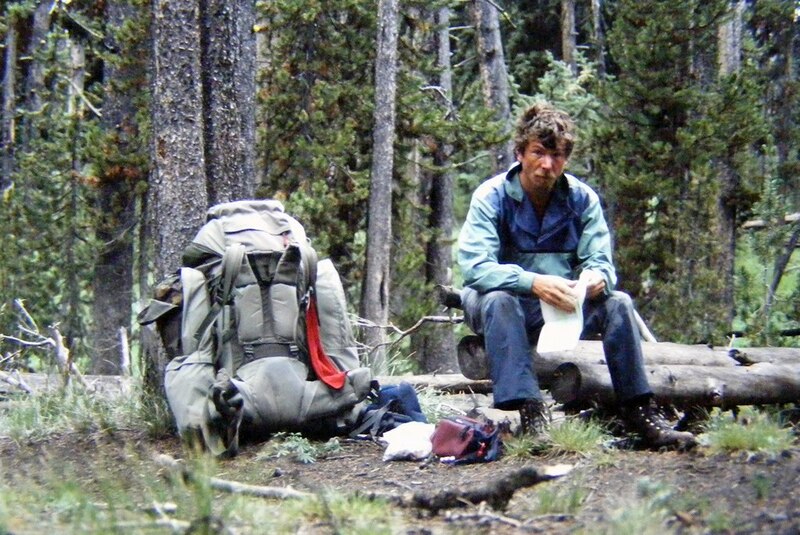 Most US backpacking takes place in forests and on well-maintained trails. Much Northern European backpacking takes place above the trees on sketchy paths. This means that less protective shelters and clothing are fine in the USA but need more skill and more adaptability in Europe. I used a tarp on my last two long distance hikes in the USA (and didn't even use it most nights) but I would still choose a tent for Scotland or Scandinavia. I've used tarps in the Highlands on one and two night trips but for anything longer I want a more storm resistant and easier to pitch shelter. Jörgen: If you weigh the pros and cons for tarps versus light tents and add bivies that protect against precipitation and/or bugs, I see minimal weight differences today. Chris: Certainly once you combine a tarp with a bug tent or a bivi bag the weight difference with the lightest tents is minimal or non-existent. I also view tarps as giving freedom and space. If I have to use a bug tent or bivi bag as well then I'd rather have a tent, as that then gives more freedom and space. I'm taking a GoLite Shangri-La 1 with the Nest inner on the Pacific Northwest Trail. This gives me a stormproof tent for high camps, a bugproof tent for the mosquitoes and a flysheet that I can pitch well above the ground so it's more like a tarp. The Nest inner will double as a groundsheet when the netting isn't needed. 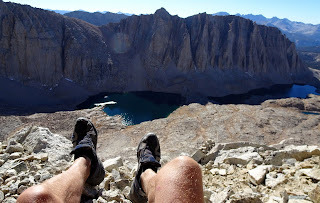 Jörgen: Thank you Chris, and have a nice walk along the Pacific Northwest Trail! Comments in English below and in Swedish at Utsidan.se here. Very good interview and kit discussion. Jorgen the top and bottom photos where are they taken? Thanks for posting this Jörgen, it's a highly inspirational journey that would be great to emulate one day. I'm surprised no book was published, it's a real shame. Great interview, I liked reading about the evolution of the gear and packlist. Has that walk become more popular, like the nordic PCT or something? Thanks to both to Jӧrgen and Chris for doing the interview. I wonder if the next Nordic Lightpacking meeting in Sweden will be on some part of this trail? Maybe you guys should meet 5 times a year, so we can see this a bit quicker than 5 years if you just meet once a year in each bloggers home town. Or just meet 5 times a year, because then we would get 125 great posts, one every three days or so. I know I would like that! The Finnish outdoors person Timo Polari has also walked the Keel in 1999 (from Kevo canyon in Finland to Galdhöpiggen in Norway). He might have something interesting to share about the trip though not being an UL/lightweight trip. If you are interested in the topic you can check: http://www.timopolari.com or his book (Unelma Etelänavasta / Dream of South Pole). I do of course share the common opinion that it is sad that no publisher and hardly any newspapers thought it interesting enough to commission Chris to do a good write up of his trek. Perhaps they thought it would only be of interest to Scandinavians, which of course is a small market. I am sure Chris could have done a great book on the subject, I really appreciate his writing. Walking the Keel is to my knowledge not that common, but someone might be better informed. However I believe that quite a few Norwegians (among them the famous Lars Monsen) and Swedes walk, or mostly ski, the mountain ranges on each side of the border. There seems to be an attempt right now to encourage people to walk the entire King's (or Royal) Trail in Sweden and make a 'thing' of it. I think we will see more thru-hiking in the years to come.